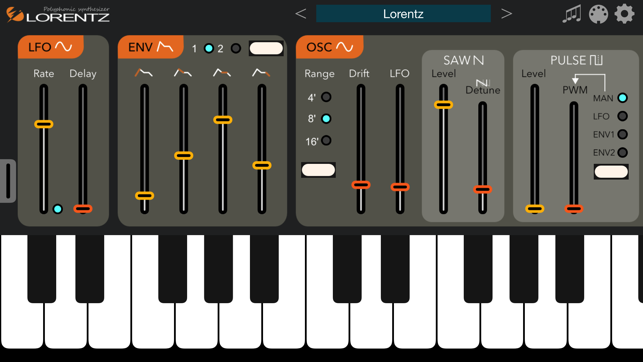 Lorentz is not only a live-oriented analog modeling synthesizer, but also has a resonator that makes metallic and aggressive sounds. 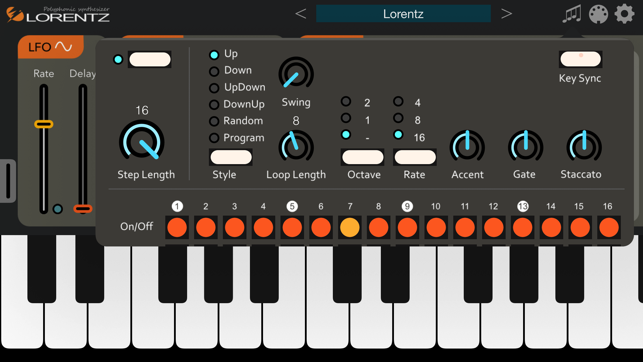 This makes it easy to create a new synthesizer sound with a resonator added to the sound like an analog synthesizer. The oscillator has a sawtooth wave, a pulse width modulatable rectangular wave, a sub rectangular wave and noise. You can mix these waveforms at the same time. The filter has extreme resonance and overdrive that violently distorts the sound. Since all the parameters including the effect are contained on one screen, it is recommended for live performance. Optimized for both the iPad and the iPhone. You can use in a host application that supports Audio Unit such as GarageBand. You can stream live audio directly to other Inter-App Audio host applications. 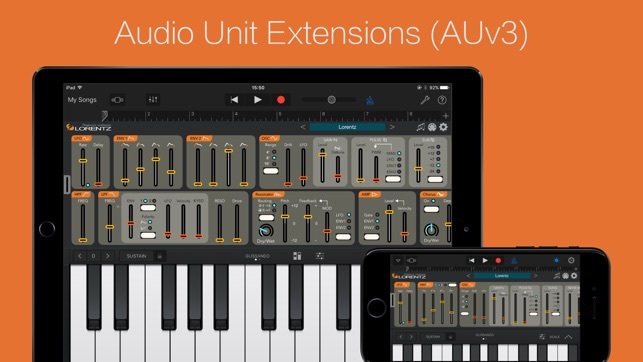 You can stream live audio directly to other Audiobus-compatible apps. See https://audiob.us for more information. Ableton Link is a new technology that synchronizes beat, phase and tempo of Ableton Live and Link-enabled iOS apps over a wireless network. See https://www.ableton.com/link/ for more information. You can easily create your own pattern. Regular classic synth sounds. Reason for high rating is this is very efficient, low cpu for most things, which is always an issue on iPad versus laptop. 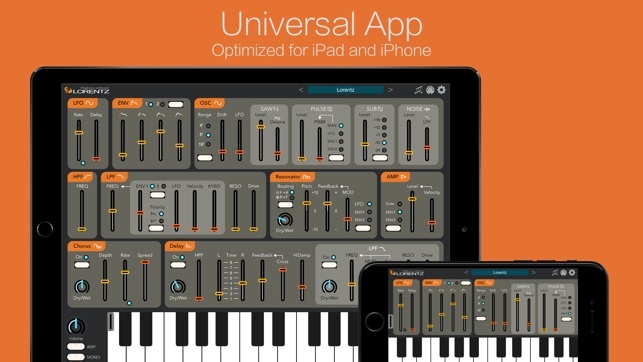 I own a LOT of iPad audio apps and well over 30 iOS synths. Of those, there are only a handful I would use for professional recording, such as Moog Model 15, Animoog, Korg ARP Odessei, Nave, and a few others. I would put Lorentz in that elite group. It can sound like a Jupiter 8 or a CS80 or even a 303. The routing is amazing… the filters are top-notch (a full LPF on just the Delay)… and that resonator just fills the sound with harmonics. Lorentz does dark and gritty very well too. It has all the MIDI options needed as well as Link. Did I mention it has dual envelopes? The other IceWorks synths are great too but this is my dog right here. Good synth for working with bass, pads, leads, poly. Nice clean one-page interface, only other window is for the arp. (And it's a really good arp too, jam on it in real time.) LPF on the delay does lead to some interesting patches if you are a delay junkie. Not overloaded with presets but most of what they include are usable, very few of the "I created this amazing patch that you are never going to use" type. Dual filters remind me of my Virus. More of a "digital" sound than synths like iSEM or iMini, but not harsh. Reliable too. 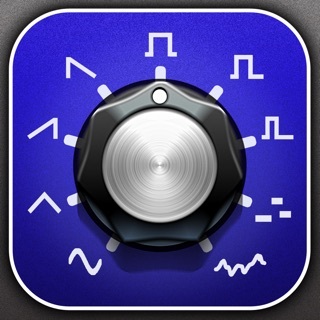 Audiobus is solid. Midi learn. You can create your own folders for user presets. 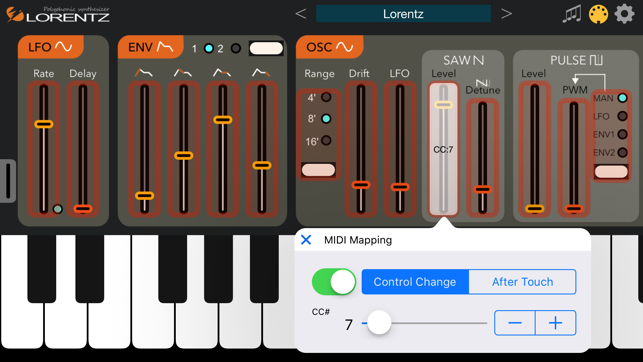 You can create arp presets too. All good.